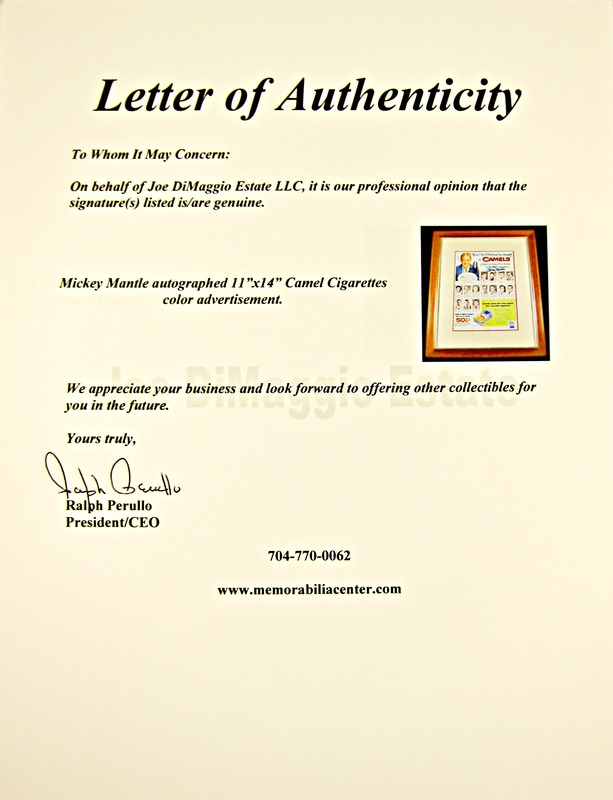 Add a piece of Yankees history to your collection with this super limited Mickey Mantle autographed 11 X 14 color Camel cigarettes advertisement display. It is beautifully matted and framed. 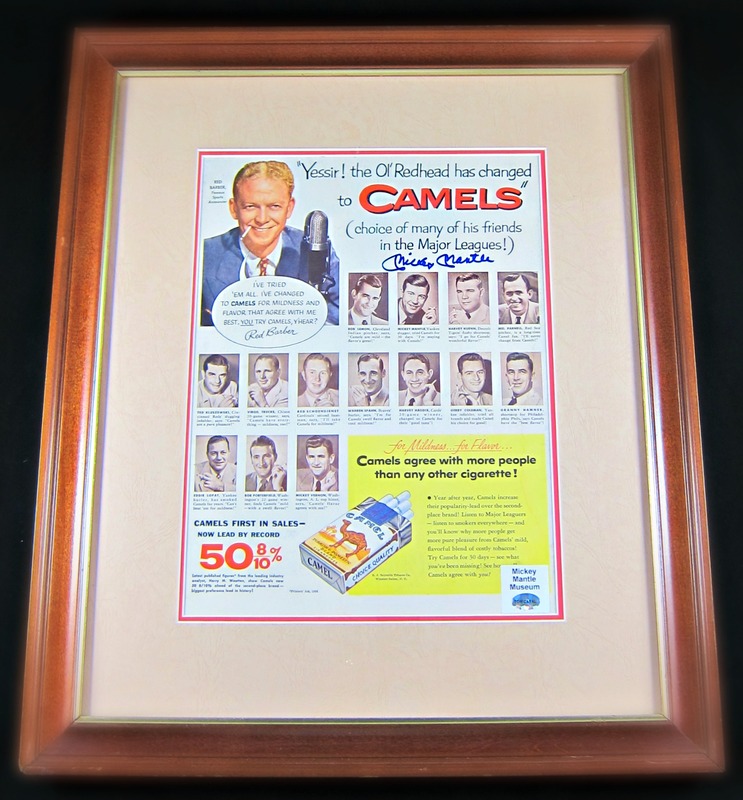 The display includes rare photos of several Hall of Famers with 14 MLB players holding Camel cigarettes. Mantle is quoted saying, “I’m staying with Camel”. 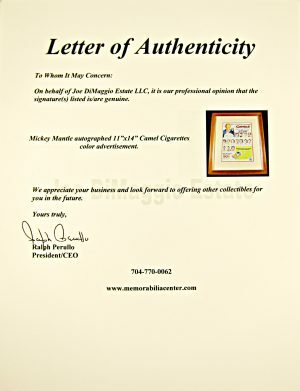 Authenticated by Mickey Mantle Museum (Tom Catel). Mickey Charles Mantle (October 20, 1931 – August 13, 1995), nicknamed “The Commerce Comet” and “The Mick”, was an American professional baseball player. Mantle played his entire Major League Baseball (MLB) career with the New York Yankees as a center fielder and first baseman, from 1951 through 1968. Mantle was one of the best players and sluggers and is regarded by many as the greatest switch-hitter in baseball history. Mantle was inducted into the National Baseball Hall of Fame in 1974 and was elected to the Major League Baseball All-Century Team in 1999.